A new film by RNIB shares what children and grandparents with vision impairment love about reading with each other. Five children talk about why they love reading with their grandparents. 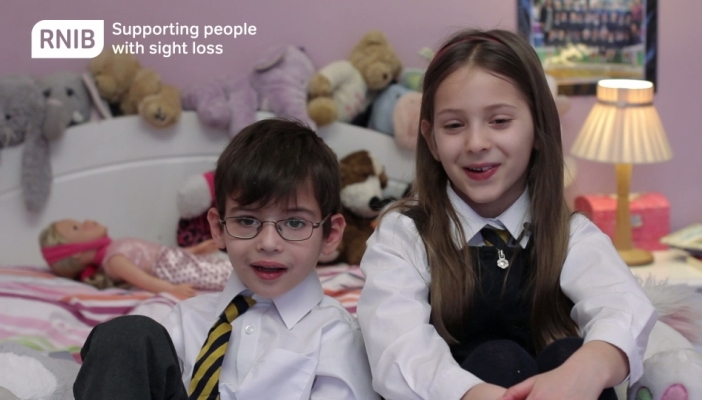 Rosie, Leo, Kurtis, Edward, Ami and Isabella describe how they share their favourite reading moments with their grandparents; using RNIB’s Talking Books, audio book library service, giant print books and braille. In November, RNIB made their Talking Books service free to use for people of all ages with vision impairment.